A new paper by Cristina Acciarri (Univ. of Brasilia), Evgeny Khukhro (Univ. of Lincoln), and Pavel Shumyatsky (Univ. 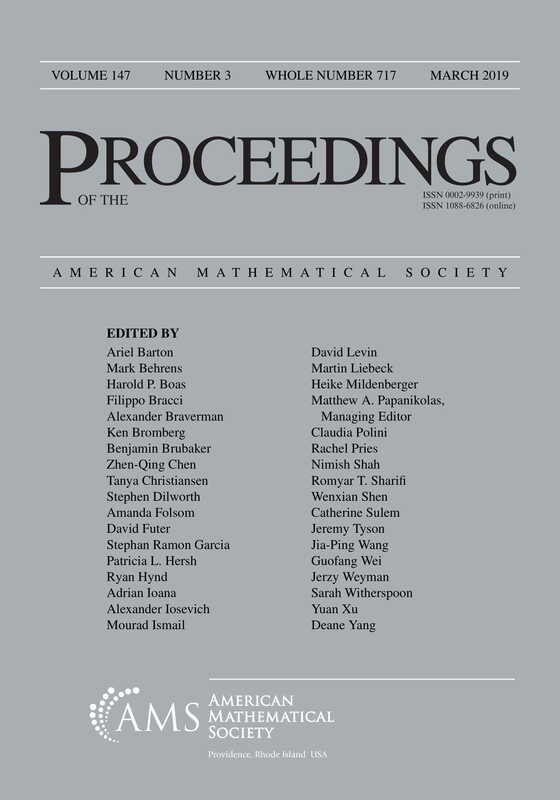 of Brasilia) “Profinite groups with an automorphism whose fixed points are right Engel” has been accepted for publication in Proceedings of American Mathematical Society. The results of this paper were partially obtained during Evgeny Khukhro’s research visit to University of Brasilia in July of 2018 (supported by a grant of CNPq-Brazil). Abstract: An element of a group is said to be right Engel if for every there is a number such that . We prove that if a profinite group admits a coprime automorphism of prime order such that every fixed point of is a right Engel element, then is locally nilpotent. This entry was posted on January 8, 2019 by Evgeny Khukhro in New publications, research.